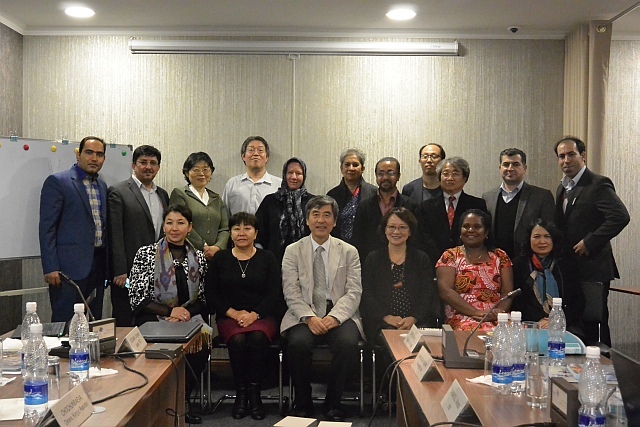 2015 IRCI Experts Meeting on Mapping Project for ICH Safeguarding in Asia and the Pacific was held on 8-9 December 2015 in Bishkek, the capital city of Kyrgyz Republic, as an activity under IRCI’s project, Mapping Research for the Safeguarding of ICH in the Asia-Pacific Region (Mapping Project). The meeting was attended, including observers, by 17 experts from 11 countries in the Asia-Pacific region. IRCI has been conducting the Mapping Project since FY 2013 as the core activities of its research programme. 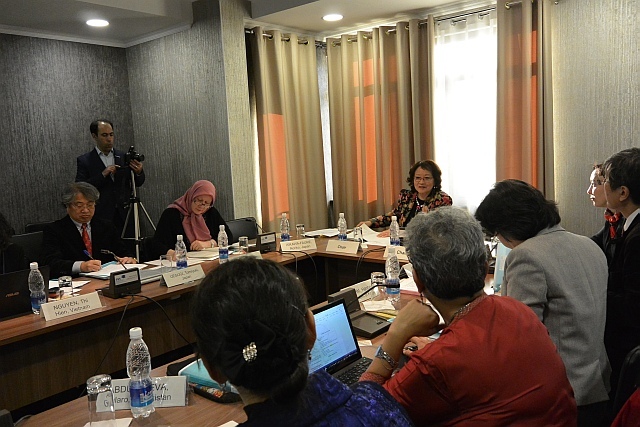 Earlier in FY 2015, as a preparation for this experts meeting, IRCI carried out in collaboration with international researchers and research institutions, a systematic literature survey on the ICH safeguarding research for 17 countries in the Asia-Pacific region to assess current conditions. The survey also identified through the analysis of collected data, challenges in future research activities in the region including fields of research and ICH genres that should be emphasized. Based on these results, researchers who participated in the survey gathered in Bishkek to further discuss the problems and challenges in enhancing research activities for ICH safeguarding in the Asia-Pacific region. Topics such as the directions of the literature survey to be continued in the upcoming years, and the refinement of IRCI’s research database reflecting the new data collected by the survey also became the agenda. It was the first time for IRCI to convene an international meeting in Central Asia, and IRCI benefitted from the generous cooperation of Aigine Cultural Research Center in Bishkek. The meeting also contributed to expanding IRCI’s cooperative network to Central Asian countries such as Tajikistan and Uzbekistan. Contact Shigeaki Kodama (IRCI) for further inquiries.